Anyhow; we got three shots each today, and as the picture shows getting coverage against Typhoid, Rabies and Japanese encephalitis (a kind of Dengue fever). We are scheduled to go back twice to “top of” a couple of these during the next four weeks. We also got some nice info and links from the good doctor. http://www.fitfortravel.nhs.uk/destinations.aspx – This site (I linked directly to that page) includes a listing of all countries. 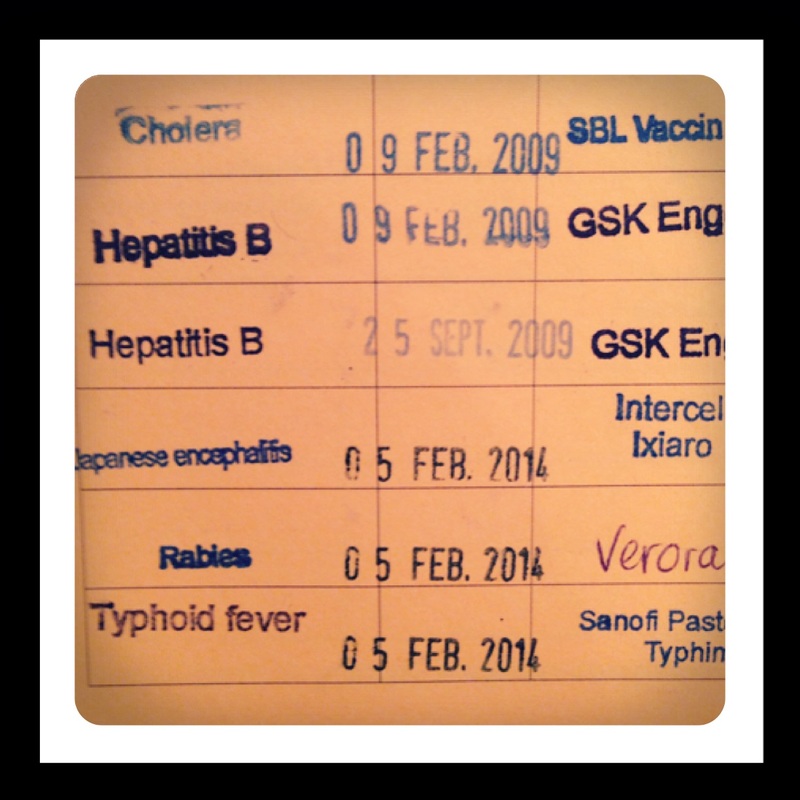 On each lands page you will find information and a map with their Malaria exposure. Nice to know when planning to travel. It’s recommended to read up on Malaria and how to avoid it! http://www.janechiodini.co.uk/ is another site we got recommended, but have still to read up on. We are told that this lady gives excellent advices regarding travel, diseases and tips. Finally we talked about DEET. The component that gives the effect in mosquito repellents. Maximum effect allowed in Norway is 20 %, but the Americans have other regulations. Good thing I’m soon of for a trip to the States.